Feel free to ask Amnesty International India for a new update on this Fundraiser. WATCH this video and find out what people have to say. We started our work in India 3 years ago and our supporters have traveled with us every step of the way. This year we are making a significant step forward with the confidence that you, new or existing, will stand with us. In July 2015, we launched a unique pilot programme in Bengaluru in association with the Bengaluru police in 10 police stations. 92% of Indian women who face sexual violence never seek any help at all. 99% of women never report it to the police. Yes. A police station can be an intimidating place for us to go to. The thought of registering a complaint raises numerious concerns in our mind. How do we handle these fears? How do we encourage reporting of sexual violence? We decided to sensitize the police to women's fears through community events with the police. Simultaneously, we addressed people's misconceptions about reporting sexual violence through our 'Know Your Rights' programme. Working with the police and the community simultaneously and bridging the gap removes concerns and fears. The police extended their whole-hearted support. Here are links to coverage of our launch by major national and regional news publications : The Hindu, TOI, Deccan Herald, Deccan Chronicle, Udayavani, DNA, Citizenmatters, Quint. Why should you support the 'Know Your Rights' programme? Firstly, positive feedback from students, employees and communities has been heartening. We have improved and tweaked and are constantly working on new ways to achieve our objectives. 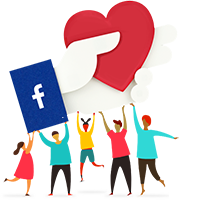 Secondly, since our launch in July, 2015, we have kept marching with our supporters' help. - We have just launched our e-learning platform - learn.amnesty.org.in - which hosts an animated video course on 'How to file an FIR against sexual violence'. Do enroll and take the course yourself. - We have conducted information sessions in 2 colleges in Bengaluru already and we've visited companies in and outside Bengaluru. We've scheduled more in the coming months. - Most importantly, the Pune police too has agreed to launch this initiative this Monday (21st December). This is great news! Now we want to scale this programme up to more cities, colleges and communities with the commitment to inform 1 Lakh people in 2016 and we need you, our supporters, again. We need your contribution, however small or big, to keep going. We want as many of us as possible to get involved. 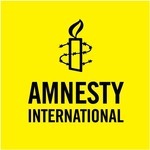 Your donation to Amnesty International India is tax deductible under 80G. Share this campaign with your friends on Facebook and Twitter. You can also help us reach our target of informing 1 Lakh people in 2016 by simply sharing learn.amnesty.org.in with 10 of your friends. Together, we can achieve this target. If you, our supporters, get involved, start conversations and help your immediate communities stay informed, we can remove fears of reporting sexual violence. Let us answer the call through the 'Know Your Rights' programme. We are a Nobel Peace prize winning global movement of 7 million people who take injustice personally and help people claim their rights through education and training. Within 3 years of our work in India, 3 million Indians have supported us in our work on defending people’s rights. We are entirely funded by individuals like you. We do not accept funds from governments or political organizations. Your message will be directly emailed to Amnesty International India and you will receive his/her response on the email address entered below.